How to Ship Antique Chinese Screen? Elegant in construction, a Chinese screen is a very special type of free-standing furniture. Usually decorated with finely rendered or skillfully painted patterns and scenes, it also serves as a beautiful visual focal point for the room. This is especially true for antique solid wood screens that have been used historically since the second half of the Zhou dynasty of ancient China, known as the Eastern Zhou period. 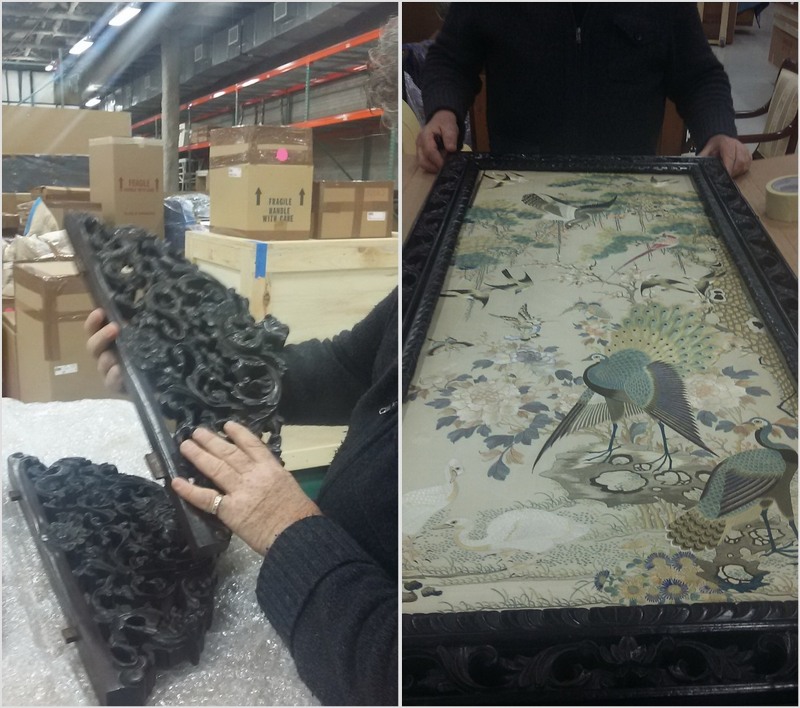 Such pieces are highly valued today, so it is no wonder that people make every effort to preserve Chinese screens for future generations. 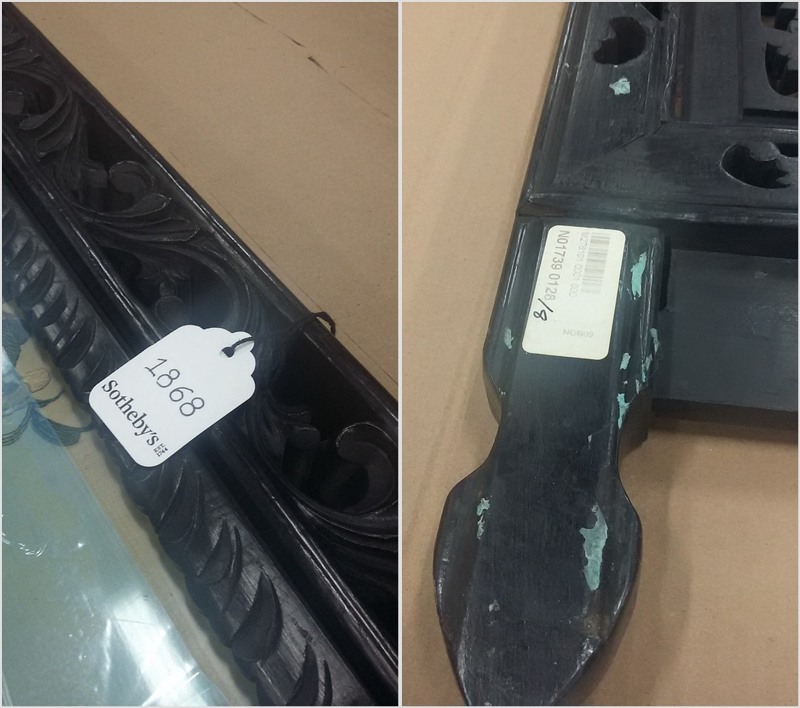 Hence the question arises: how to ship antique of this type and ensure it arrives at the destination in one piece? Fine Art Shippers knows the answer! As you probably know, fine art shipping in NYC and across the United States is our specialty. However, Fine Art Shippers also operates worldwide. We have a representative office in London and work with many reputable art shipping and freight delivery companies from all over the world, including Eric Art Services headquartered in Hong Kong. This strategic alliance allows us to offer our Chinese clients the best art logistics services at highly competitive prices. 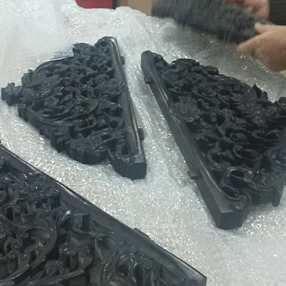 Besides, we do love to ship antique and art pieces to Asian countries, and we do enjoy working with very rare and one-of-a-kind items like valuable Chinese screens. 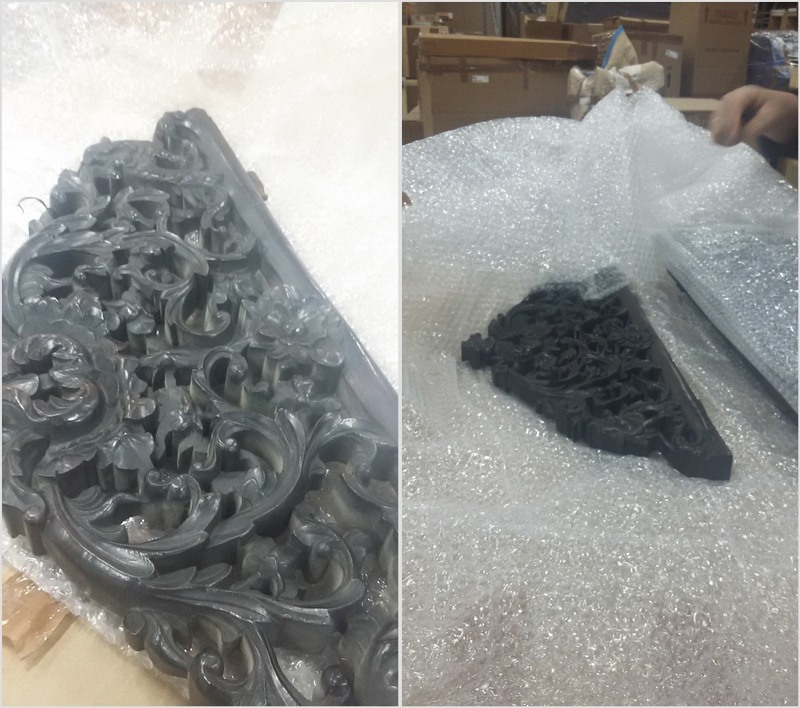 Not so long ago, one of our special Chinese clients asked our team to pick up from Sotheby’s and ship antique rosewood screen created in the 18th century. This beautiful piece of furniture was indeed unique, largely due to its many decorative details that were very interesting to handle. The screen was carefully packed and crated to withstand the rigors of the international transportation and delivered to its new home intact. 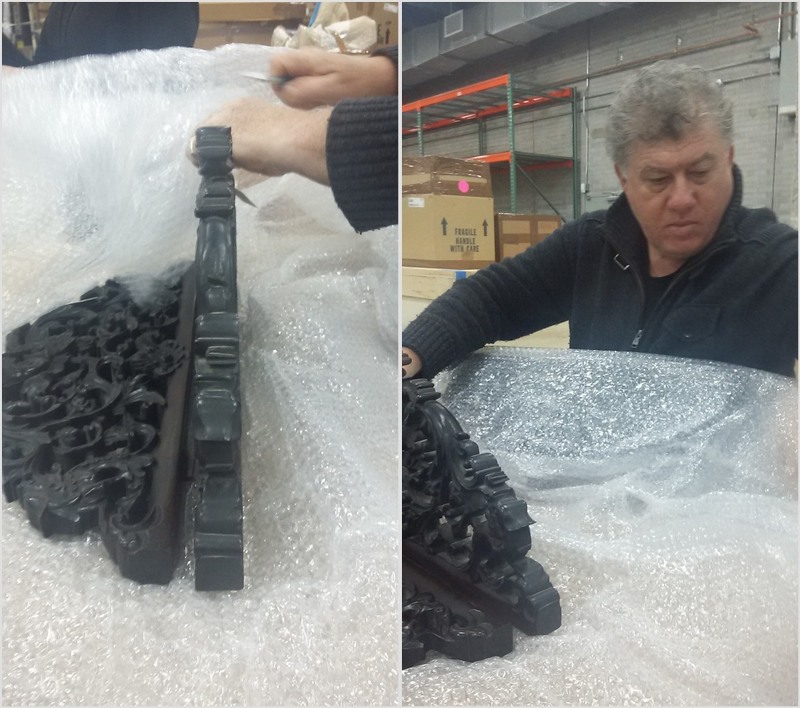 Here are several photos taken during the pick-up and packing process. 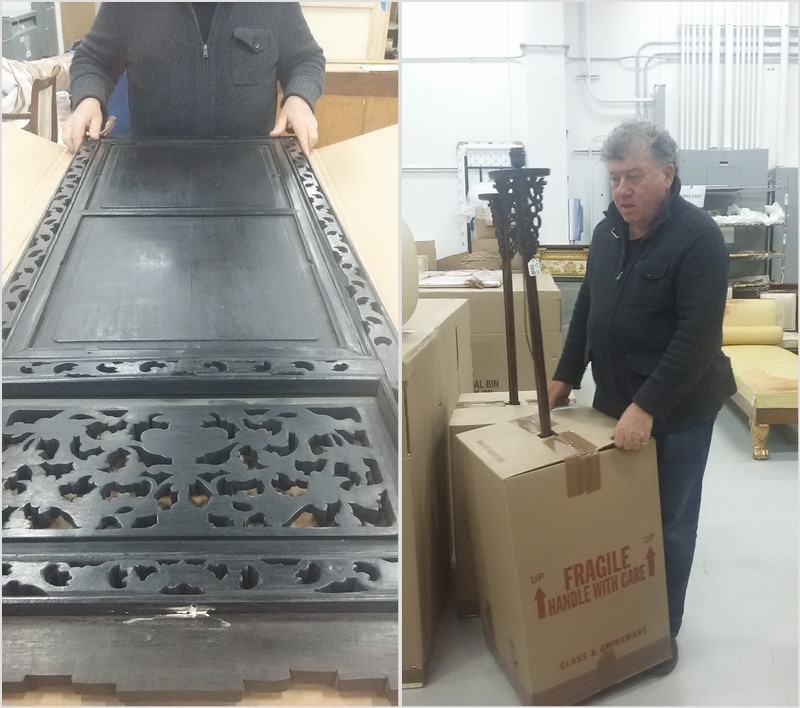 At Fine Art Shippers, we know how to ship antique of any kind, be it a Chinese solid wood screen, a vase, a musical instrument, or a museum artifact. We have many years of experience doing that and can guarantee that your precious possessions will be properly packed, crated, and shipped to wherever they need to be in the world. 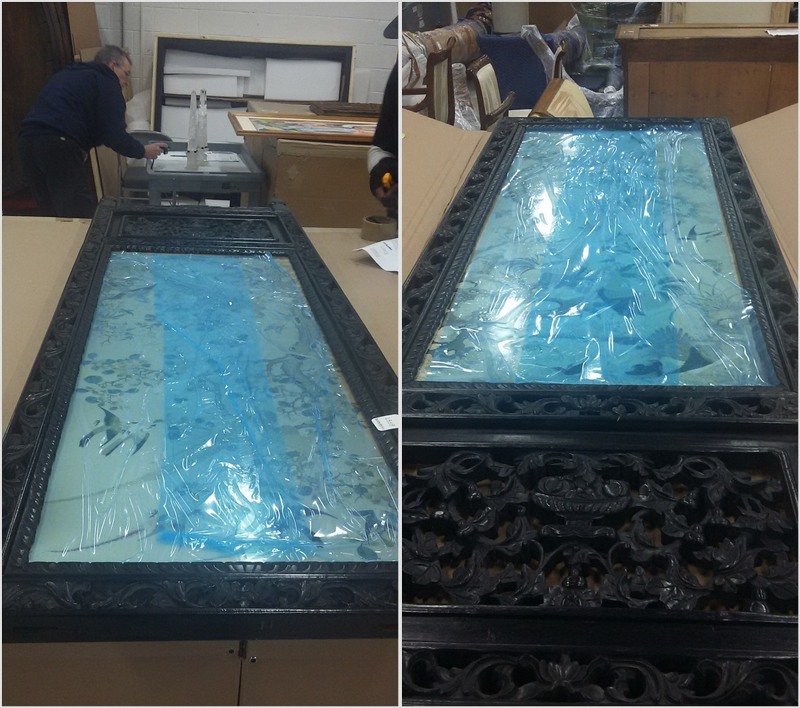 You can rely on our international art transportation service to ship antique furniture or any other valuable and fragile items safely and securely. Whatever your shipping needs, Fine Art Shippers is always ready to help!